This weekend we attended our first cooking class with the kids. 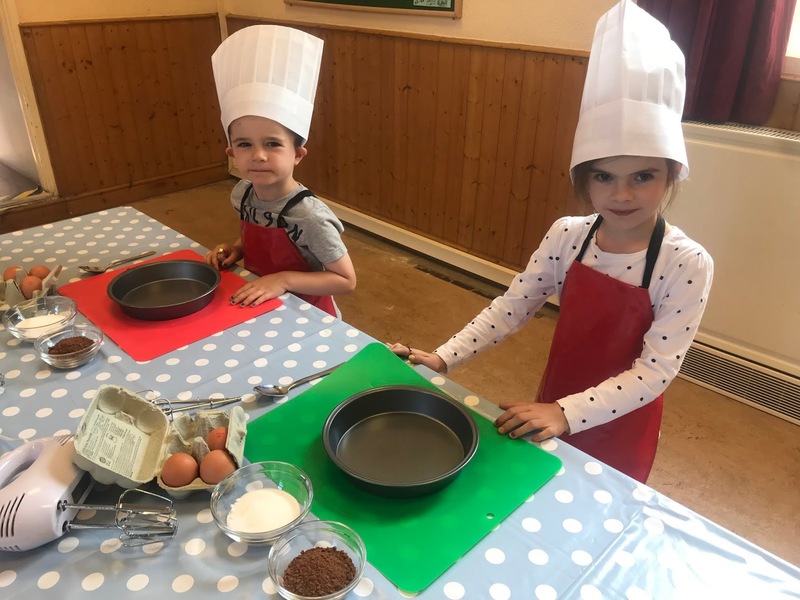 Arty cooks (also known as confident cooks) is based in the village hall in Aberthin in Cowbridge. Rebecca is the lovely lady who runs the classes. When we arrived she greeted us and gave the kids some chef’s hats! All of the equipment was laid out on the table in front of each child’s station. Rebecca explained and showed the children what to do and how to do it. She has great patience and is very friendly with the children. 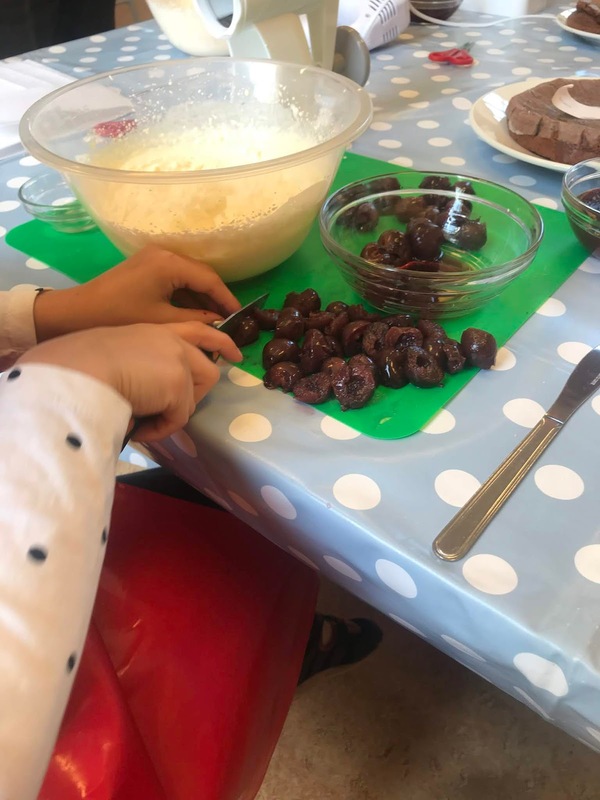 They had to separate eggs in order to make the black forest gateau cakes, luckily she had spare eggs and bowls on standby for those whose eggs accidently got mixed together. 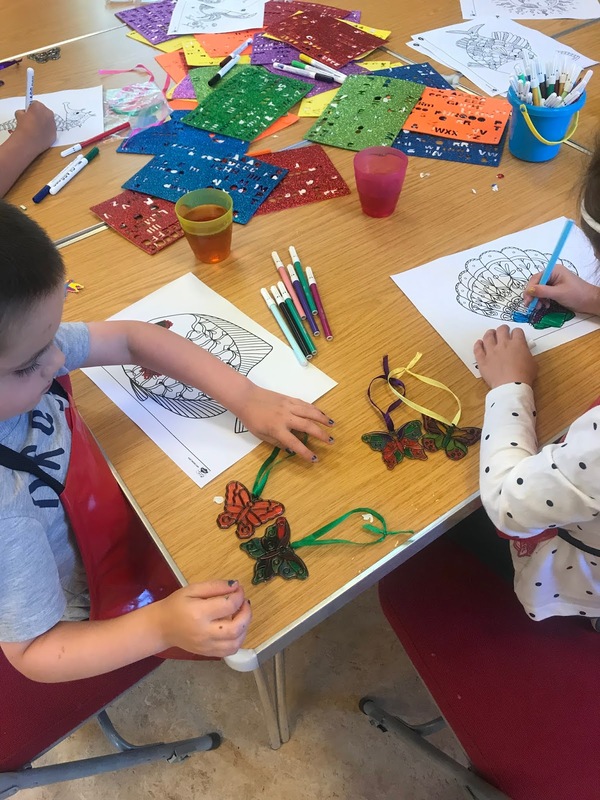 While the cakes were baking they were able to move to another table where they made butterfly sun catchers, they coloured them in and then enjoyed colouring in some pictures. 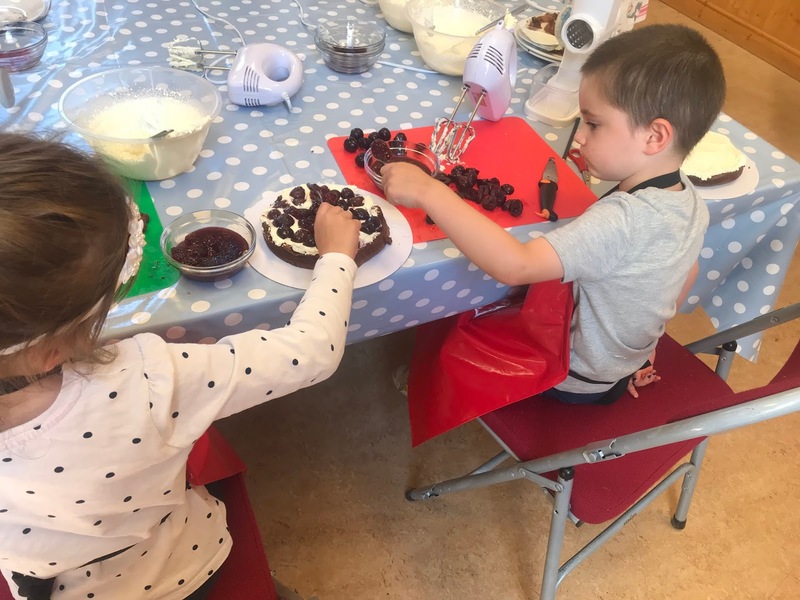 Decorating the cakes was great fun too, whipping the cream, grating the chocolate, cutting the cherries, although it was hard for them to resist licking the spoons and eating some cherries! We got to take home a recipe sheet as well so we can make the cake ourselves at home. 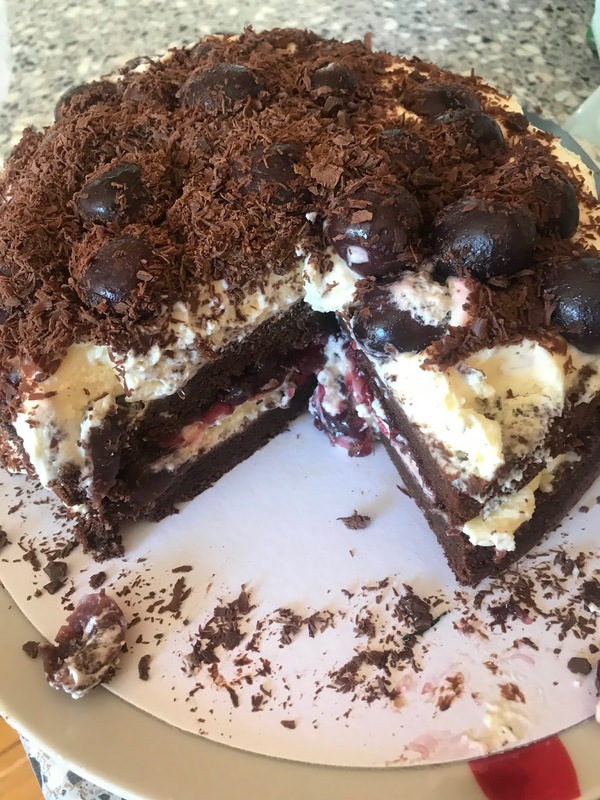 When we got the cake home we couldn’t wait to try it, and oh my word it is so delicious!!! 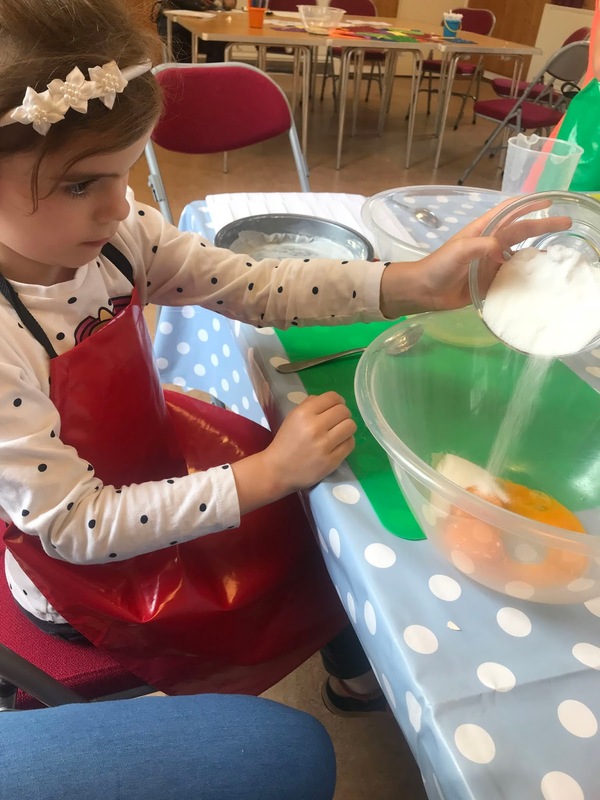 Arty Cooks classes are tailored to children aged 2-11 years of age. Your child will be taught basic cooking skills which they can use for the rest of their lives. Preschool classes take place on a Tuesday and Thursday from Aberthin Village Hall, Cowbridge. One off classes are held at weekends and throughout most school holidays. 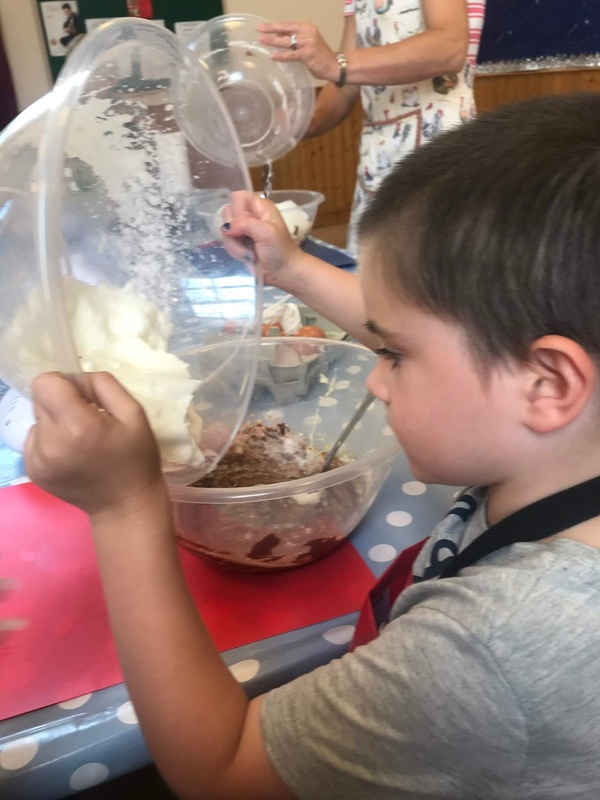 she also runs adult workshops and family cooking workshops. Overall we had a fab time and we can’t wait to go back!